One of the main focuses of RNH, The Icelandic Research Centre on Innovation and Economic Growth, is research into the possibilities of utilising natural resources without pollution or other damage to the environment. A special emphasis is put on research of the Icelandic system of individual transferable quotas, ITQs, in fisheries. RNH seeks to build on the important work done by Ronald Coase and Harold Demsetz illustrating the capacity of free market exchanges to generate non-authoritarian solutions of economic problems, especially the problems of harmful effects of economic activity. Another reference point for RNH is the application of market principles to the fisheries by H. Scott Gordon and Anthony Scott. The first one was on 6 October 2012 on ‘Fisheries: Sustainable and Profitable.’ Speakers included Arni Mathiesen of FAO, Dr. Gunnar Haraldsson of OECD, Michael Arbuckle of the World Bank, Professor Thrainn Eggertsson, and two professors of fisheries economics, Ragnar Arnason of the University of Iceland and Rognvaldur Hannesson of the Norwegian School of Economics and Business. A second international conference was held 14 October 2013 at the University of Iceland on ITQs and resource rent taxes. Speakers included Professors Ralph Townsend of the University of Maine, Dr. Gunnar Haraldsson of OECD and Professors Ragnar Arnason and Hannes H. Gissurarson of the University of Iceland. The conference was in memory of Arni Vilhjalmsson who combined a career as Professor of Finance at the University of Iceland with partly owning and directing one of the largest fishing firms in Iceland. A third international conference was held 8 October 2015 at the University of Iceland on Professor Rognvaldur Hannesson’s critique of ‘ecofundamentalism’ in a recent book. Professor Bengt Kristrom of Umea University in Sweden and Julian Morris, Director of Academic Studies at the Reason Foundation in the United States, commented on a keynote address by Hannesson. A fourth international conference was held 29 August 2016 at the University of Iceland on the initial allocation of fishing rights. Speakers included Professors Gary Libecap of the University of California in Santa Barbara, Charles Plott of the California Institute of Technology and Ragnar Arnason of the University of Iceland. One was 29 October 2013 with former Supreme Court Judge Jon Steinar Gunnlaugsson who argued that a special charge on fisheries was unconstitutional. Legal expert Helgi A. Gretarsson offered critical comments on Gunnlaugsson’s arguments. Another seminar was on taxation, including the proposal to impose a resource rent tax on the fisheries, 24 October 2014, with Professor Corbett Grainger pointing out some problems with the idea. RNH has also sponsored the translation of two books that are largely about natural resources and the environment. The Rational Optimist by best-selling author and zoologist Matt Ridley came out in 2014. On that occasion, Dr. Ridley gave a lecture at a seminar in Reykjavik 30 October. Progress by Swedish historian Johan Norberg came out in 2017. On that occasion, Norberg gave a talk at a meeting in Reykjavik 23 October. Dr. Ragnar Arnason, Chairman of RNH’s Academic Council and Professor of Fisheries Economics at the University of Iceland, and Dr. Hannes H. Gissurarson, RNH Academic Director and Professor of Politics at the University of Iceland, have both been active in this field, by lecturing and publishing. 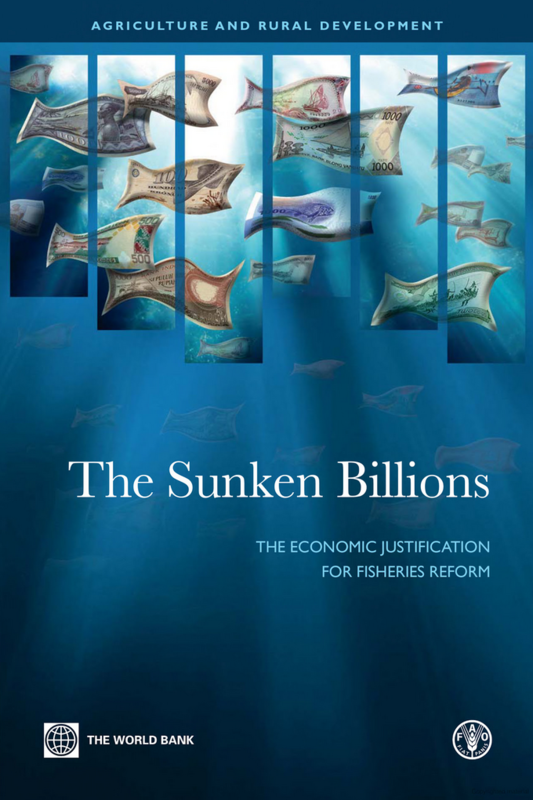 Sunken Billions, a report of the World Bank and FAO on the immense waste in world fisheries coupled with wideranging reform proposals, was co-authored by Arnason and published in 2009. An update was brought out by the World Bank in 2017. Professor Arnason has also published many scholarly papers in journals and books. They include ‘Fisheries Management and Operations Research’ in European Journal of Operational Research 2009; ‘Efficiency Advantages of Grandfathering in Rights-Based Fisheries Management’ (with Terry Anderson and Gary Libecap) in Annual Review of Resource Economics 2010; ‘Loss of economic rents in the global fishery’ in Journal of Bioeconomics 2011; and ‘Property Rights in Fisheries: How Much Can Individual Transferable Quotas Accomplish?’ in Review of Environmental Economics and Policy 2012. Arnason was the keynote speaker at the conference of North American Association of Fisheries Economists in La Paz in Baja California in Mexico 22–24 March 2017. Gissurarson’s monograph on the Icelandic ITQ system, Overfishing: The Icelandic Solution, was published by the IEA in London in 2000. His book, The Icelandic Fisheries: Sustainable and Profitable, was published by the University of Iceland Press in 2015. Gissurarson has given several papers in Iceland and abroad on the ethics and politics of developing property rights to fish stocks and other natural resources. They include lectures at the University of Iceland 26 October 2012, at the Economic Freedom Institute, Manhattan College, New York, 12 October 2014, at the Peruvian Association of Fishing Vessel Owners in Lima 21 January 2016, at the Peruvian Ministry of Natural Resources in Lima 26 January 2016, at an IEA seminar in Florence 8 September 2016, at the Adam Smith Institute in London 28 November 2016, and at the Washington Policy Center in Seattle 14 April 2017. 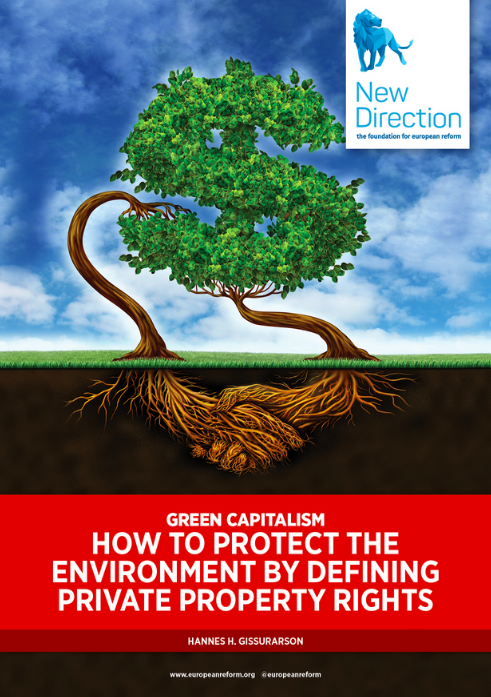 In late 2017, Hannes H. Gissurarson published a report for Brussels think tank New Direction, Green Capitalism: How to Protect the Environment by Defining Private Property Rights, and introduced the report at a conference held by ACRE in Brussels 24 May 2018.